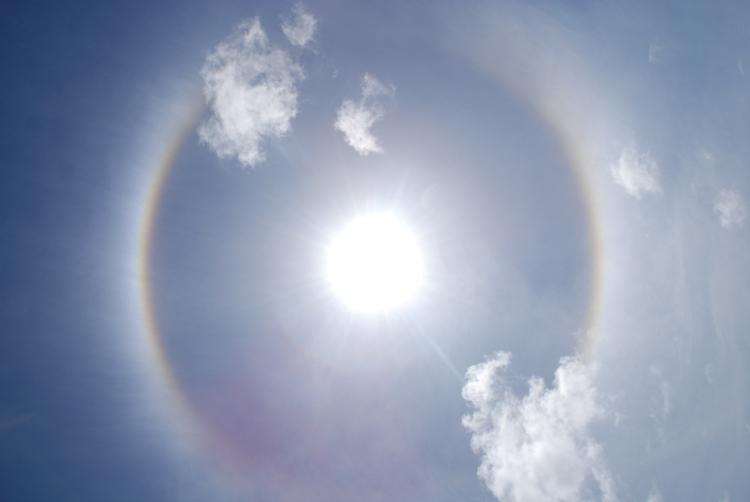 A really nice halo around the sun. My 28mm equivalent lens wasn't quite wide enough to capture the whole thing. Halos form when there are thin ice clouds high in the atmosphere.